2004-2011 Radios with CD-changer control. Connects to factory 12-pin CD connection in glove box or trunk. 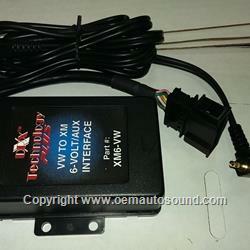 Aux input for vehicles that are pre-wire for CD-changer.